I have to say something here and I will precede it by saying this is my personal take. I am not discounting anyone here as this journey is different for everyone. I read a lot here about technique and 'how to' but I honestly feel what is often overlooked is simply that light bulb moment. It's that moment when BAM, it all makes sense. For example grade school math (or pick any subject). You're sitting there trying your best and studying and doing your homework but it just isn't making sense. You start to feel you are either the dumbest person alive or perhaps everyone else is cuckoo. So eventually you just give up, you go to class but you don't try anymore since your failing anyway. Then one day your home helping mom bake a cake or doing some other totally mundane thing and BAM - YOU GET IT! You weren't thinking about it, you weren't trying to learn it but something about those fractions and ingredients just flipped the switch and NOW - you know what you didn't before. And from that BAM moment you now have a base to work with. Now is the time to go back to the drawing board and look with a new understanding. I used to be one of those kids with a great work ethic, awesome grades in class and got everything right., BUT I couldn't pass a test to save my life and because of that I frequently brought home a dismal report card. A school counselor finally helped me with that and God bless those random moments. She told me to take a vacation from studying, just go to class and afterwards walk away and forget about it. She told me NOT to study before a test. She said, "look, read the material and put down the book and let it go." Following her advice I have never failed a test since that day and believe me I have taken some damn hard ones. What I'm saying here is if you have tried and tried and you are not getting where you think you should just stop. Give it a rest and simply allow what you 'have' studied to absorb and sink in. Go to bed, go to your meditation spot and simply be. Rest easy knowing you have the knowledge and all you are waiting on is the bam. Bams are ALWAYS a surprise. I know this may sound like a rant, my apologies. I don't mean it to be but I do hope this helps someone who is feeling the pressure whether that pressure is coming from others or (most likely) from within you own self. Relax, this isn't supposed to cause anxiety but if it is then you're pushing too hard. Reverse psychology! I like it. You are correct once again Nameless. We could call your technique "Nameless's Do Nothing Technique". I like the sound of that, lol. For some reason the word "Relax" seems to elude people here. So does the word "fun". Reminds me of the Tao Te Ching and the principle of "not doing"
Wow, not exactly what I meant, lol. Do nothing, ha, there's plenty to do after you take a step back and allow your studies to sink in. Once you've had that BAM moment then you have plenty to do, like understanding your own desires so your intentions can be made clearly. So time passes and I kinda give up. I still want it to happen but im letting go, but im only striving to become enlightened and obtain money at the same time. But im not TRYING. Any technique or vibration or what have you is something I dont force. I seem to default to an awareness level since I've been doing nothing but that 12 hours of the day at least. And when I get distracted, it happens. When I come back, I dont tell myself 'this is the place you NEED to be to get x, y z'. The thing is if someone is telling you 'you're doing it wrong' then you tend to beleive it when you dont see success. Not to say there isnt better ways. But this the thing, when you FEEL like you are never really doing it right, that feeling is going to slow you down. At some point you have to stop searching for techniques, googling testimonies, reading every spiritual/metaphysical book under the sun and develope YOUR style. And find your FLOW. Your relaxing could be you doing x y z. It doesnt mean you have to DO nothing, cause doing nothing was hard for me. I couldnt do nothing when i tried! lol.That emotion of not doing it right pulled me to do something. Which is fine if doing nothing isnt your flow. NOW i can 'relax' in my own way, and before I couldnt. I had to do things, but eventually I've had enough and just broke down you could say. But I dont feel broken down, I feel good about it. Before when I broke down, it would last for a while and Id get up because I didnt have enough to stay broken down. I dont want to confuse anyone by saying you should stop to get where your going cause that's just another technique. One not used enough, and people dont really hype it up too much so who knows what that could bring you. Test it out for yourself. But for me it was hard to relax thinking 'ok im relaxing, when am i going see some progress?! hurry hurry!'. So i leave with this, relax. Learn patience too. If you stop relaxing, gain everything you want to add to your library of knowledge till you can not worry about the future, or 'it' happening. dont feel bad for not relaxing and tell yourself 'you need to do it to get x y z'. Dont treat it like you do other technique because its slightly different IMO. If you learn how to relax then you will see what im talking about. If you cant relax, figure out why perhaps if you really want to relax, and work on whatever obstacles that arrive. For me, having certain beliefs helps me relax. Knowing that all things are possible. I can relax and it still can happen. Im not sure how to word this because it seems to not make sense. But i hope you get the jist. I had to chime and give a little bit of advice on the topic since I literally just learned how to relax, lol. Thank you a lot Nameless for bringing this up! What should be added to the description in this technique Nameless, is that "relaxing" is important but so is "going with the flow". The main steps in my Doorway technique are meant to do the same thing, which is to turn the physical "mindset" off. I find that you can come at this practice in 3 ways. One is experimental. Two is exploratory and the 3rd would be a combination of the two of them. The experimental process is what I use when I try to develop a new technique. In this, I am normally doing very short visits. Because it is experimental at the time, I want to log my results and not miss anything important. It is basically action/reaction. For every action I attempt I stay aware of it's reaction. That means that I still have to somewhat hold a focus on what my physical body is experiencing. For that reason, I am also experiencing "exit symptoms and signposts. Then comes the exploratory process. This is when I start a imaginary visual, like tossing the basketball in my hands into the darkness in front of me and I go with the flow. If something occurs that I didn't consciously create, I will follow that new scenario. Example, I toss the ball a few times into the darkness, then the ball comes back to me or a hoop suddenly appears, I hear a voice, etc. I will immediately follow and become part of that scene. A couple of days ago, I attempted the 4-7-8 process. I was in experimental mode then. I began the focus and found that I didn't care for the part where you need to blow out the air for 8 seconds using your mouth. I maintained the breathe focus, but again tweaked it down to a 4-5-5 breathing. The breathing in and out through the nose was working great. I found that when I was using my mouth for the 8 seconds out, that I was also creating too much of a physical focus, which was counterproductive. It didn't take long until the darkness before my eyes was starting to change in depth. I then aborted the session, so I could log my results. Yesterday, I began with my rendition of the breathing exercise and soon felt movement forward. I knew my physical body was lying from end to end of the tub, so whatever was occurring was "etheric". For some reason, I felt like I was going to be pancaked in the tub, so at the last moment when I felt I was about to hit the end of the tub, I dove under water. Not physically though. The next thing I saw was bubbles and blue flippers in front of me and I was swimming, I guess underwater. I couldn't tell who was in front of me, but I continued to follow them. The flippers disappeared and I saw the light above just as I was coming to the top of the water. I looked around and saw there was a land mass there with some of the most unusual awesome looking trees I had ever seen. Next thing I knew I was on the Island just taking in the view. Last night I began to replicate those trees in a new Crystal Amplifier design. This is where a "exploratory" mindset led me. I allowed my curiosity to take me where it wanted to go. At no time did I intend the motion in the bathtub, or the visual of flippers, bubbles, even the land mass itself. I just went with the flow. In today's session, I began with my Healing modality. Our Granddaughter was hospitalized briefly with the flu last night. It hit fast, like a ton of bricks. Poor little girl. So, I started with a healing, then I moved onto a brief counted breathing focus. 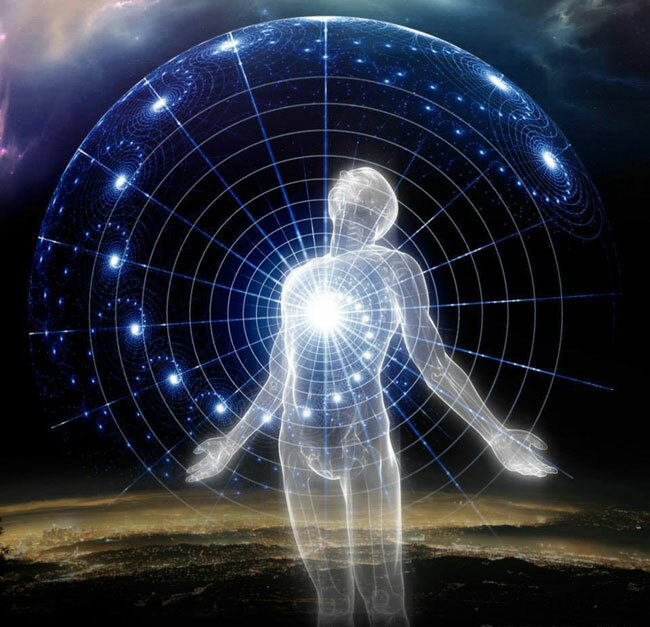 Instead of jumping into my next tech, which is my focus on "etheric body" points, starting at the toes and ending at the hair, for some reason, I chose Chakra points instead. One by one, I targeted a Chakra point, beginning at the "Root" Chakra and began trying to sense it. If it felt weak, I attempted to boost it. I did that for awhile and then for some reason went to continue with the breathing tech, but I was already too deep. I put my focus back on my breathing, but I couldn't feel anything at all, lol. At first it alarmed me. I aborted my session shortly afterwards and realized when I went to abort that once again, I was too deep to even do that. This has happened in the past too, so I knew I had to "slow roll" my way back. Sometimes, when in deep, you kind of feel stuck there. When it first happened a few years back, I was alarmed. I then realized it had to do with brain waves and I needed to slowly acclimate myself back again. I have had times didn't re-acclimate myself back to my physical focus long enough and found I was nauseated and very sluggish for he next 15 minutes or so. Dizzy as well. I am totally convinced that this practice in general does cause a brainwave frequency change. You can use training wheels like Binaural Beats/Isochronic Tones to do that. But after a while your consistent "brain entrainment" with what you are doing pays off and you get the ability to switch between brain waves quite easily. This is why I say it is important to practice often. Just closing your eyes and simply noticing is great practice. I have had weeks and sometimes months where I can get as far as the 3rd darkness, the Void, and that's it. Then I found out how relaxing and also interesting the Void can be. Like you say, " be". What I am getting at here is, people don't always have to follow a certain technique every time. They may start out that way, but then you need to put your own "experimental hat" or exploratory hat" on and do your own thing. I change it up all the time. I also have many sessions where I don't get all my Doorway steps in. Somewhere along the way, my path got altered and instead of fighting it or ignoring it, I "go with the flow" of it. If more people would learn to look at it this way, they would see how relaxing it can be, but also how adventurous it could be as well. There are 3 steps in my Doorway technique that I find are important to continued success with this practice. The first is "Relax". How you do that is up to you. The second is disassociation from the body, which creates a "non physical mindset". That non physical mindset helps you in so many ways there. I used the example above of the tossing of a basketball. I don't look for the basketball in my hands. If you don't care for basketball, which I found weird because I don't care for the game myself, then throw that Frisbee in your hand into the darkness. Once again, don't look for the Frisbee. Just do the mental motion. Nothing shows, do it again. Just watch out for the pile of broken glass in front of you. If that thought bothered you, you are still in a physical mindset. I would be curious why the glass was there, but I wouldn't worry about stepping on it. I have already released my physical mindset, so I won't be "stepping" on anything. The next step I find important is the 6pt focus. That creates automatic mental associations and many times leads to some pretty wild adventures. Yes, you are experiencing what seems to be physical tactile sensations. But due to your consistent practice, you know better.